Kunal Datta | OK Listen! 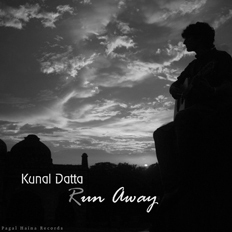 The resolute romantic Kunal Datta at the tender age of 19 is a gifted Singer Songwriter. Exploring soul scintillating concoctions, he tales the listener on a journey through a labyrinth of ecstatic zeal to nostalgic stupor. His debut EP “Runaway” released worldwide in Dec 2010, produced and distributed by Pagal Haina Records. Not only is he the consummate crooner and lyricist but has also playedall the instruments on the EP himself. The guitar, harmonica, saxophone, violin, piano, drums and the flute are all part of his healthy arsenal of weapons. Weapons of mass congregation. Kunal was born in Los Angeles, California in 1991 and moved to New Delhi, India, where he attended Vasant Valley School. He is now at Stanford University where he is honing his musical skills further with a double major in engineering and music. He has also written a book of poetry titled "Rang e Noor," published by CinnamonTeal in August,2009. On friday evenings, Kunal teaches underprivileged children to play the guitar and sing. He is affiliated to the charity "Visions of India," which works for the welfare of the socially and economically underprivileged. Very recently, he has taken it upon himself to raise funds for providing clean drinking water to slums and villages in New Delhi via his non profit initiative - "The Downstream Foundation".